Why safety gear for hard working women? After spending 20+ years in the construction industry, Terri was promoted to safety manager at an environmental construction company. Once involved in safety, it became apparent that local distributors only stocked a fraction of products available-everything for average sized men. As a result, women have a hard time accessing safety equipment that fits properly. Today, CharmandHammer.com stocks the largest variety of professional grade safety gear designed and sized for women. We are happy to report that manufacturers are continuing to innovate and design products for a diverse workforce. Just a few years ago, the trend was unisex styling - but today, the current trend for women's gear is stylish and functional. A major distributor of all types of professional grade safety gear for women worldwide, Charm and Hammer has helped businesses provide functionally fitting gear and individuals work safer for over 10 years. Originally, Charm and Hammer was a source for women in construction, but over the years we have learned that women in many occupations need safety equipment. Dental hygienists need safety glasses that do not slide down their nose when they are looking down treating a patient. Women welders need gloves and jackets that fit properly. Women Build volunteers appreciate the pink hard hats and tool belts too! We also broadened our business with custom logo gear for a variety of companies, occasions and projects. What really sets Charm and Hammer apart is our commitment to quality products, customer service and long-term relationships with customers. Consistently, Charm and Hammer provides the best quality products at a fair price in a timely manner. We focus on a responsible procurement process. We don't just buy the cheapest products - we research the manufacturers and when possible - we choose manufacturers who give back to their community or are distinguished in some other way. For instance, our most popular hard hats are not only made in the USA (Georgia) - for every wholesale order placed, they donate to their local catastrophic care hospital. Our favorite safety vest manufacturer (also in USA) - employs a handicap shelter for large volume logo orders, the quality is unbeatable and the prices are very competitive. Our most recommended safety eyewear manufacturer actually has their glasses independently tested and verified by an independent third party (Underwriters Laboratory) to verify compliance to ANSI standards. When they say their glasses meet or exceed specific standards, they mean it. 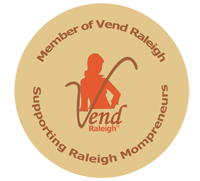 CharmandHammer.com (established 2003) is a 100% women owned business; owned and operated by Terri Piasecki of Apex, North Carolina. On occasion, you will find us on other shopping sites, Ebay.com, Amazon.com, etc. We ship worldwide via internet sales. We also offer businesses general safety supplies, logo hard hats, logo safety vests, first aid supplies, traffic cones, all types of PPE, and much more!